If you have suffered an injury and tried to file a claim with the insurance company of the person responsible for your injury, you may be faced with the problem of having to deal with an insurer who stonewalls you. There are many ways insurance companies try to avoid paying out personal injury claims, even if you have a valid claim. A Monmouth County personal injury attorney may be able to help you fight back and win your claim. Here are some common ways that insurers will try to make it difficult for you to succeed with your claim. Most insurers are obligated by law to advise claimants that they have a limited period of time, usually two to three years, to file a lawsuit or settle a claim before the claimant is unable to collect anything. This period of time varies depending on the state and type of lawsuit, and it is called the “statute of limitations.” In most states, insurance companies are prohibited by law from trying to mislead policyholders as to when the statute of limitations runs and are required to clearly notify policyholders exactly what date they have until to file a lawsuit. Some insurers will nevertheless try to run the statute of limitations while neglecting to tell the claimant that they must do certain things to prevent this from happening. If the claimant tries to return to negotiations after the statute of limitations has run, the insurer may be able to deny further consideration. Although they are usually required by law to notify claimants of this, and failing to notify the client may suspend the limitations statute, not all insurers make good on that responsibility. Some claims representatives may also tell claimants that their claim is invalid, even though it actually is valid or at least should not be immediately rejected. They will not do this in writing but will try to verbally intimidate the claimant over the phone and pressure him into dropping the claim. This is highly unethical and improper, and if you observe it, you should report it to the representative’s superior. 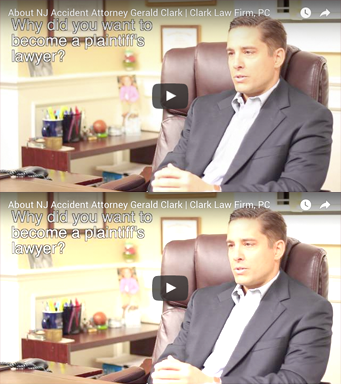 If you have further questions about how to proceed with your personal injury claim, contact an experienced Monmouth County personal injury attorney at the Clark Law Firm today to schedule an initial consultation.